If Chicago’s top cop has his way, marijuana possession is not going to be decriminalized anytime soon around here. 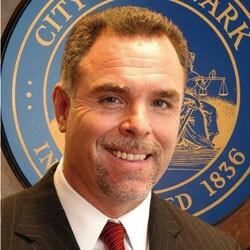 Despite calls for a major change in policy, police Superintendent Garry McCarthy said Saturday that cops aren't going to stop busting people they catch with small amounts of pot, though he said the department is studying whether it might process arrests differently—perhaps by issuing tickets rather than taking people to the station and locking them up. “We will continue to make arrests for illegal behavior, whether it’s public urination or whether it’s carrying a firearm,” McCarthy said after participating in an anti-violence march in the Austin neighborhood with Mayor Rahm Emanuel and area residents. McCarthy said he and the mayor had spoken about the issue and were in agreement. McCarthy has been put on the spot a couple of times recently by Cook County Board President Toni Preckwinkle, who says the Chicago police should stop "wasting our time" by making so many marijuana possession arrests. She says the county can’t afford to incarcerate offenders at a cost of $143 per person per day, and she decried the racial disparities in who's getting busted. In 2009 and 2010 Chicago cops made 47,400 arrests in which marijuana possession was the most serious charge, Ben Joravsky and I found in a recent investigation. Nearly 80 percent of the people arrested were black. Fewer than one of every ten low-level marijuana arrests end up as convictions, but almost 90 percent of the people convicted are black. Depending on how it's used, an emphasis on ticketing could reduce the number of people who end up jailed for marijuana possession—again, almost all of them black. But McCarthy stressed his belief in cracking down on such "quality of life" issues and dismissed the idea that police should change their enforcement strategies to ease the burden on the court system and jail. McCarthy said police need to figure out the logistics of handling seized drugs and money when they don’t haul drug offenders into the station. As I reported earlier this week, police brass are also debating whether they want to give up the practice of using pot busts as a tool to get “gangbangers” off the street—a tool used primarily in black neighborhoods. He didn't explain how that might be done, especially if the police are charged with making more arrests for the "little things." What is pot prosecution good for?